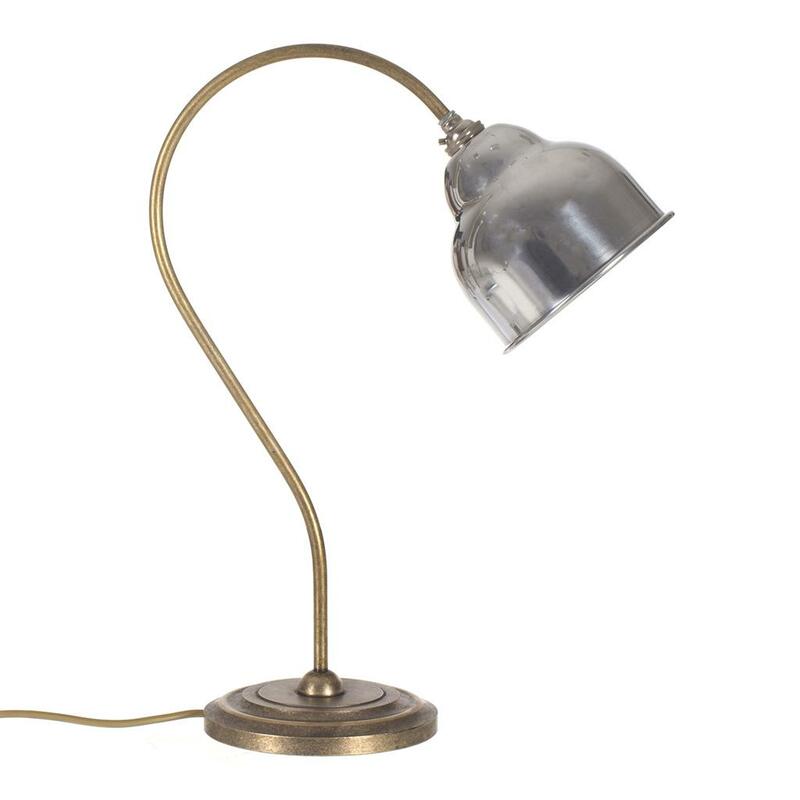 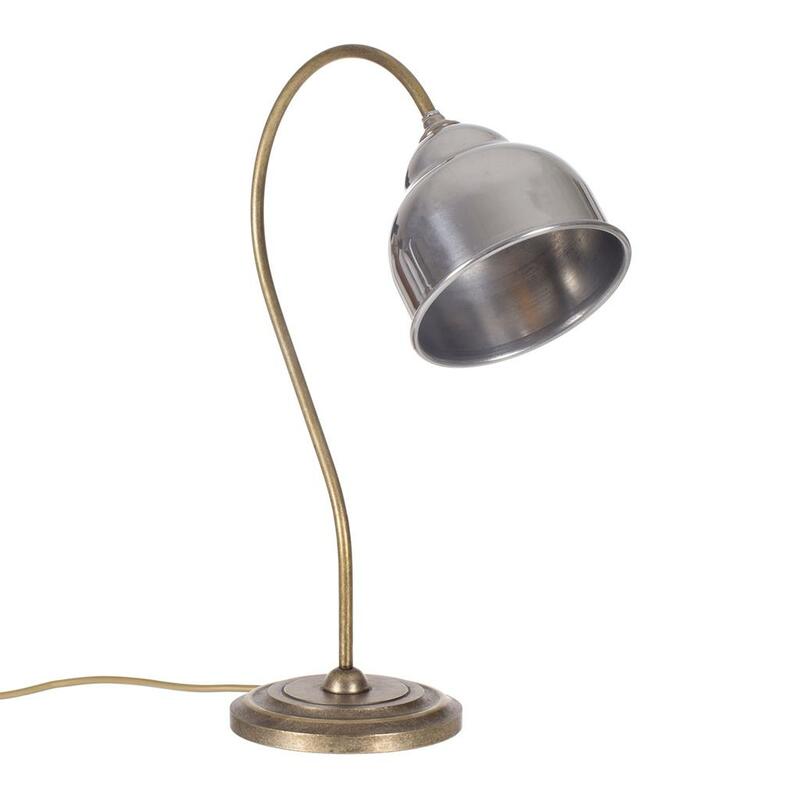 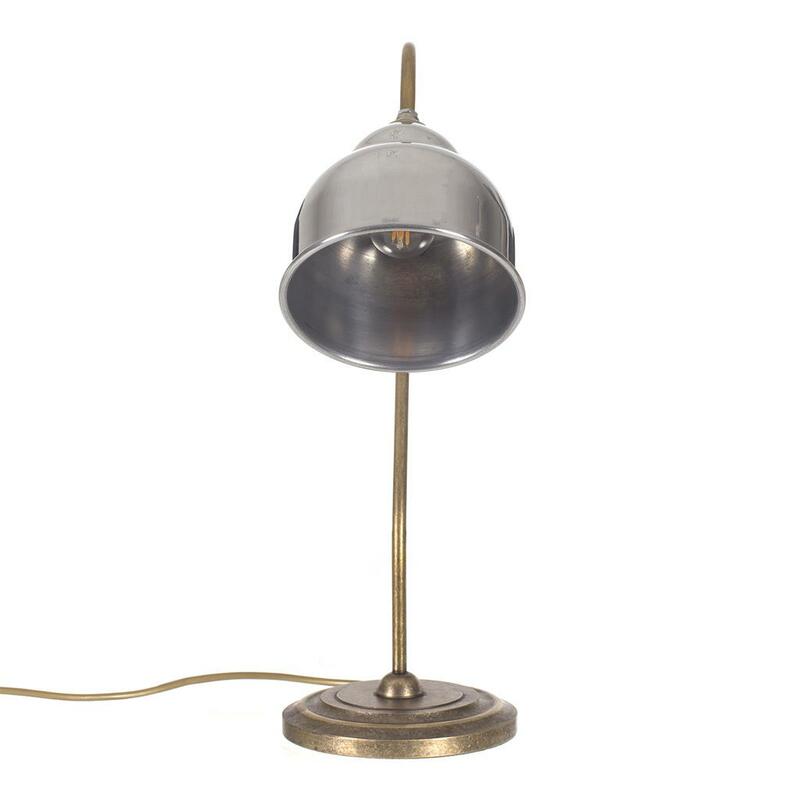 A substantial, solid brass table lamp with a curved stem and large bell shaped shade. The shade is available in contrasting aluminium or matching antiqued brass. 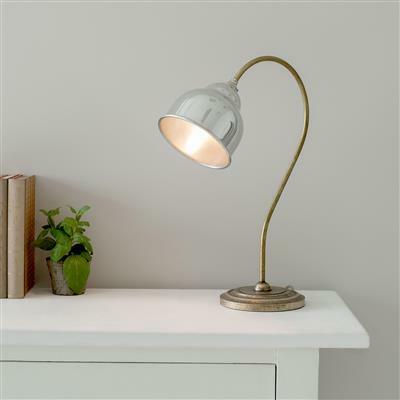 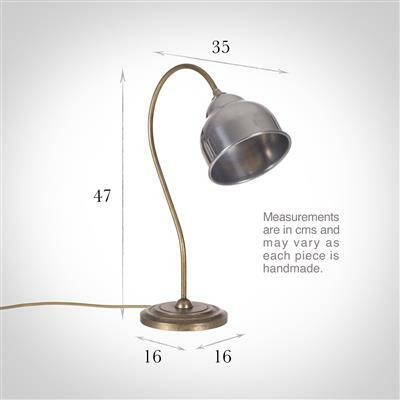 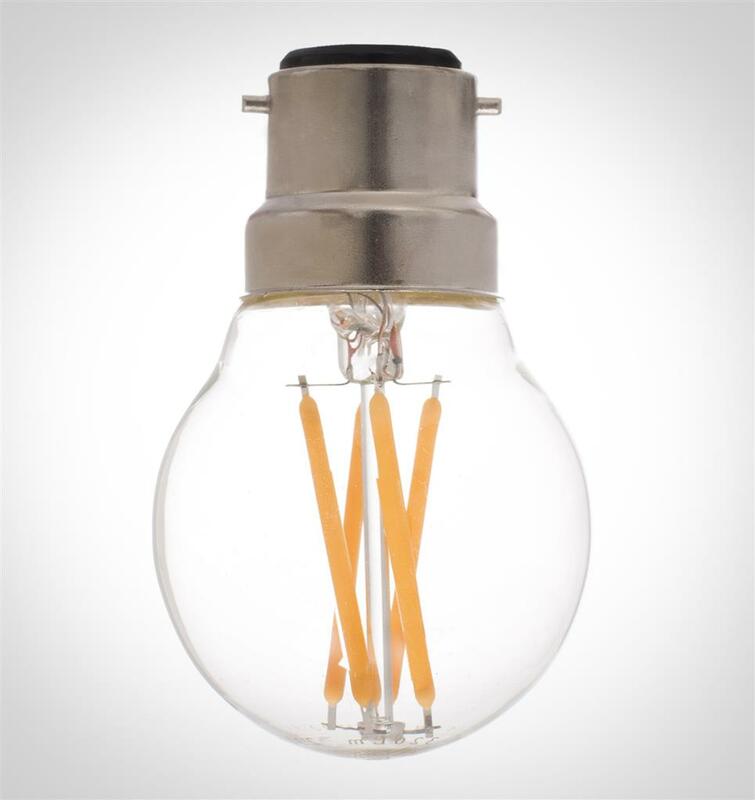 A great office lamp or larger reading lamp for any room.